The sixth studio album by Iron Maiden is “Somewhere In Time” and was released in September 1986. The cover was created by the band's long serving artist Derek Riggs, it displays a cyborg-enhanced Eddie in a futuristic, Blade Runner inspired environment. 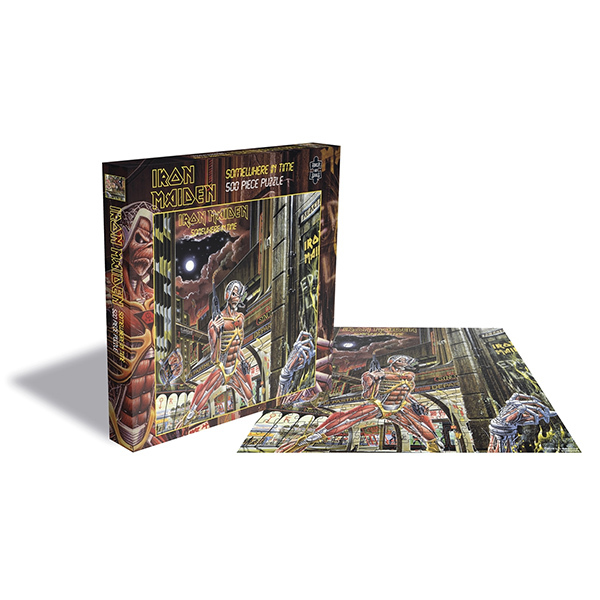 The artwork holds references to earlier Iron Maiden albums and songs and is now available as a 500 piece jigsaw puzzle printed on high quality board.